For Christmas I received the Nespresso Aerocinno 3 and now everything is better. While I am not a huge coffee drinker, I am a fan of other milk based hot drinks. I experimented first with a tea latte which was an idea I found on the teapigs website. I used their Darjeeling Earl Grey which I brewed for a good 5 minutes in a little water and then added my freshly warmed and frothed milk from the Aerocinno. I like my tea milky anyway – and the tea latte was a different experience that I really enjoyed. Of course I have made some delicious hot chocolate, the Aerocinno can heat milk without frothing it and for me, the temperature is perfect to gulp and warm your tummy without scalding your tongue. The Aerocinno looks beautiful on my work top and is designed beautifully. Operation is simple and cleaning is an absolute breeze. The “flask” separates from the base and is waterproof so it takes just seconds to clean everything up. 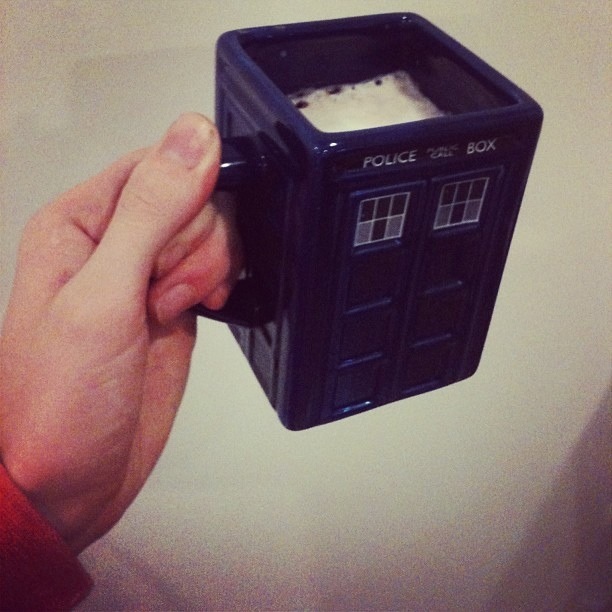 My only gripe is that there is no lip to the flask when you need to pour into a mug. A confident pour will not cause any spillages but if you want to make a Macciato a nice, slow pour is necessary which the Aerocinno flask struggles with. 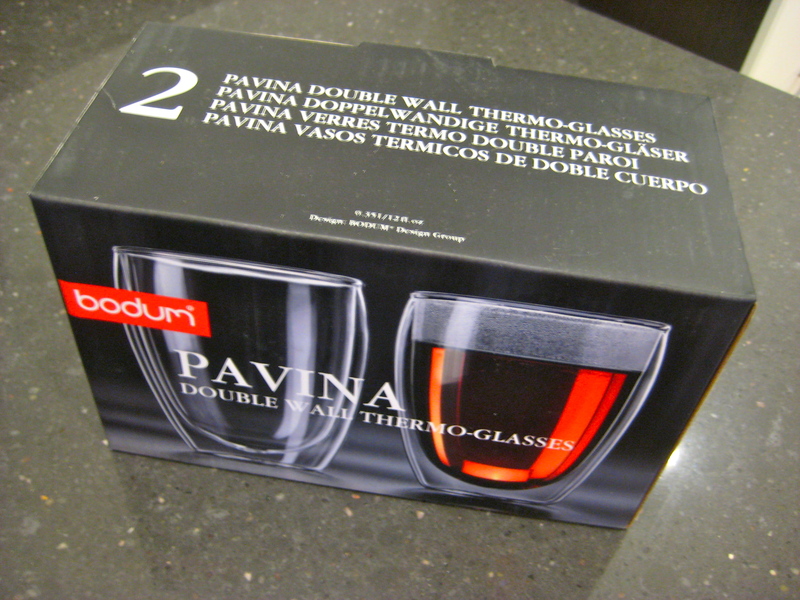 Speaking of aesthetics and design, as a pairing gift to my new Milk Frother I was also given some Bodum Pavina Double-Wall Thermo Glasses. These beauties are hand blown glass that are feather light and hold your hot drinks without burning your hands. Anything you put in these things looks spectacular – maybe it’s the magic effect of floating liquids within the glass but I can’t get enough of it. Serve me everything in a Bodum Pavina glass, nothing else will do. However the king of drink receptacles that I have received this past Christmas is the one shpaed like the best time machine I know from a friend who knows me best. This entry was posted in Food, Kitchenware, Technology and tagged Aerocinno, Bodum, Coffee, Double Wall Thermo Glasses, Frother, Hot Drinks, Milk, Milk Frother, Nespresso, Nespresso Aerocinno 3, Pavina, Review by Jonathan Day. Bookmark the permalink.